Cayce Strength, RN, BSN is a registered nurse who graduated from Middle Tennessee State University, School of Nursing in Murfreesboro, TN. She has been a nurse since 1998 with a specialty in Intensive Care nursing. 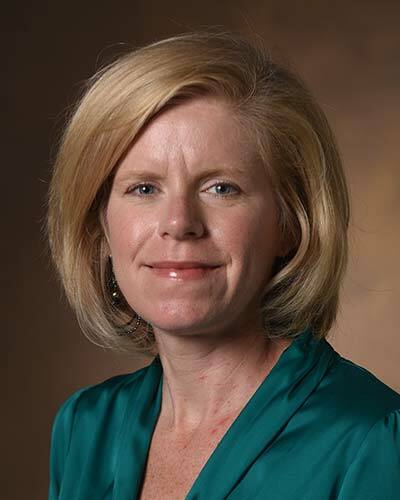 Cayce has been working at Vanderbilt University Medical Center for more than 20 years and joined the ICU Delirium and Cognitive Impairment study group as a research nurse in 2007. In her current role as a Research Nurse Specialist III, she is a co-Project Manager for federally funded clinical trials, both observational and multi-center RCTs. Previously, she attained a level RNIII status in the Medical ICU where she worked with the staff in competencies, nursing protocols, precepting new staff nurses and facilitating group meetings and quality improvement. Addition professional activities include educational lectures on delirium monitoring and management, sleep and sedation in the ICU, and long-term cognitive impairment at hospitals across the United States and nursing conferences such as AACN’s NTI and the Tennessee Society of Perianesthesia Nurses (TSPAN) conference. She is a member of Sigma Theta Tau International-Honor Society of Nursing, the Tennessee Nurses' Association and the American Association of Critical Care Nurses. She has worked in her community as a volunteer with the American Red Cross, and assisted with Hurricane Katrina Victims as a Disaster Assistance Team member.